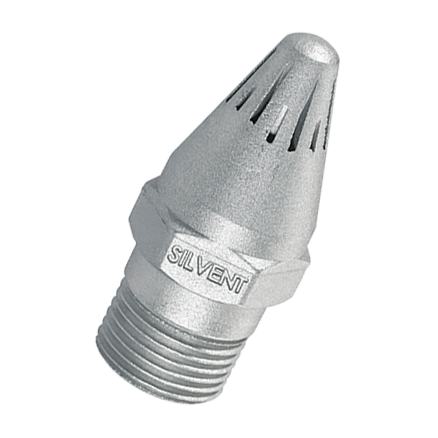 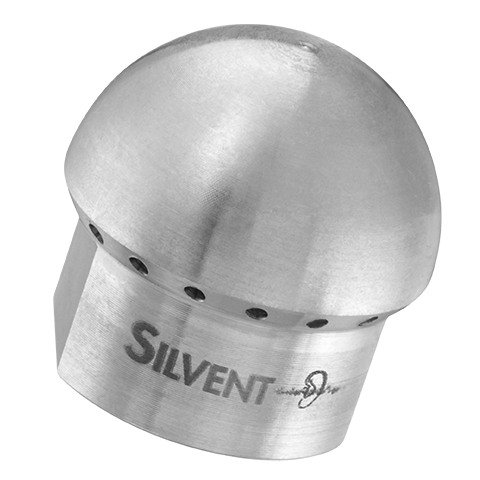 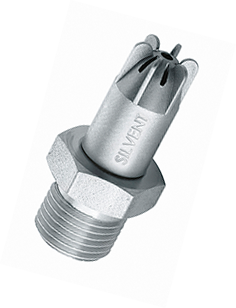 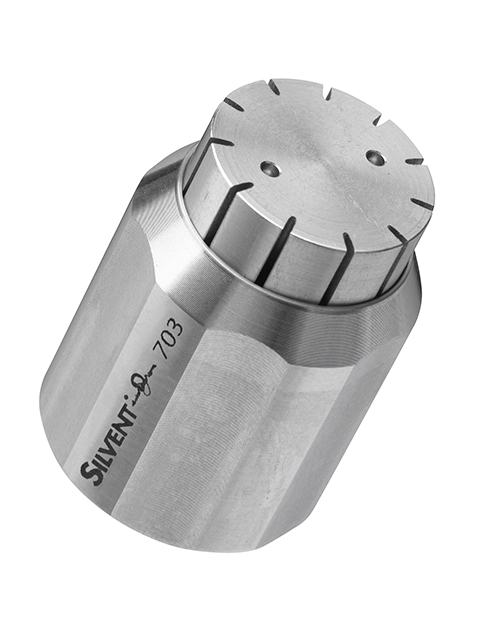 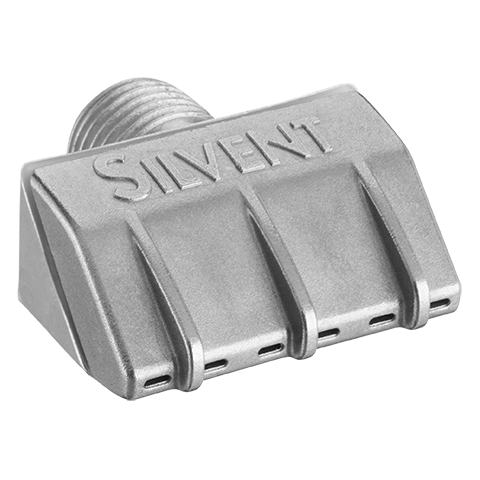 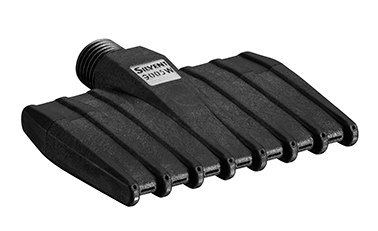 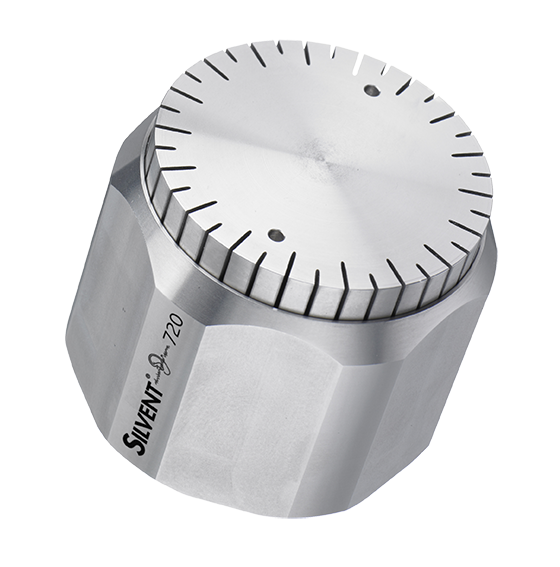 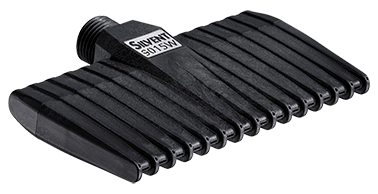 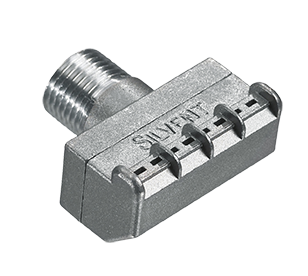 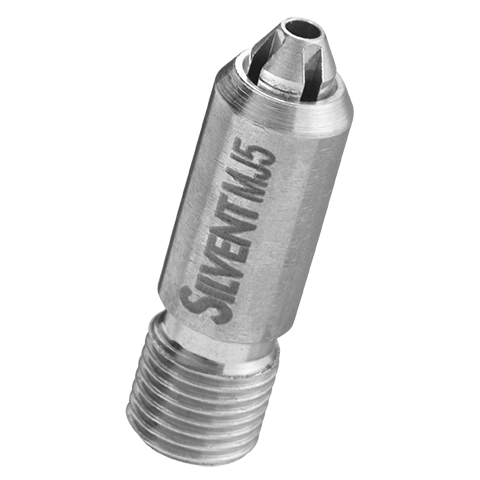 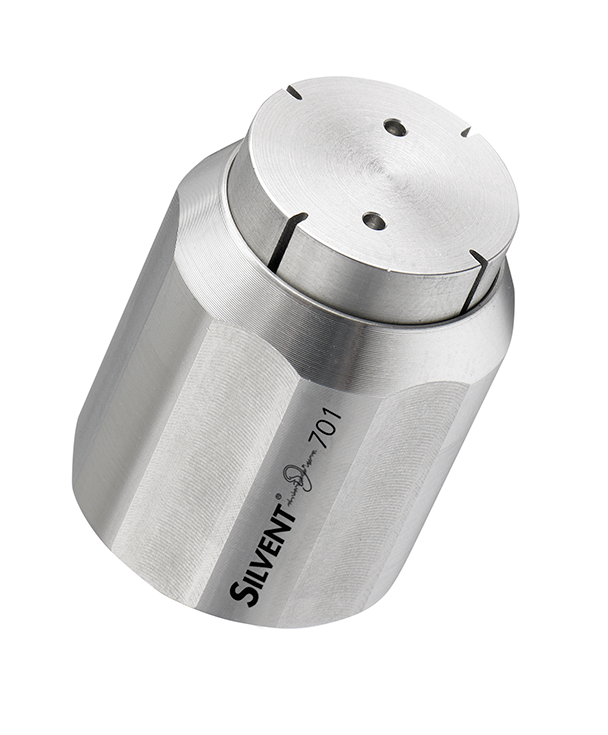 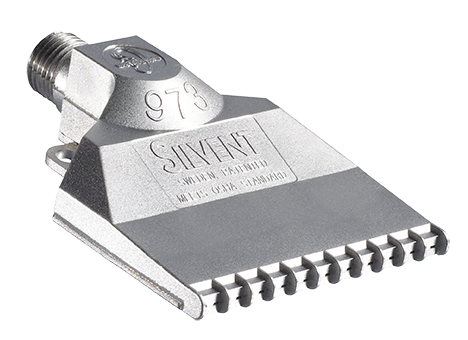 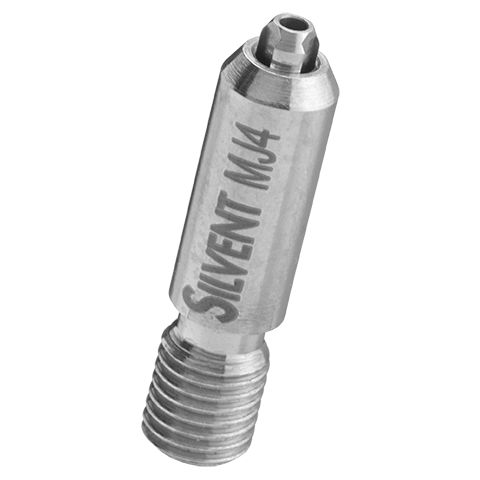 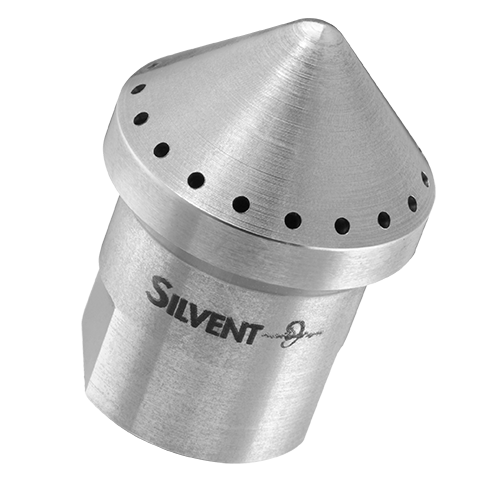 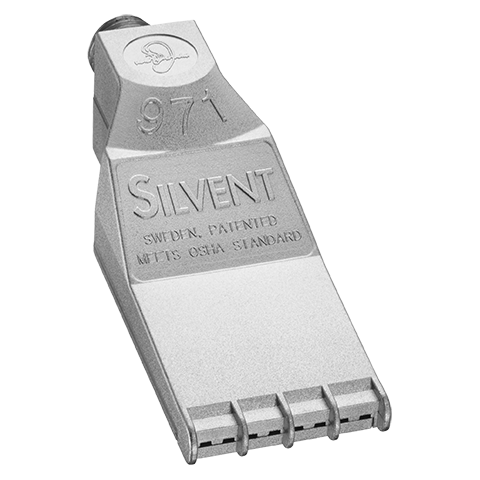 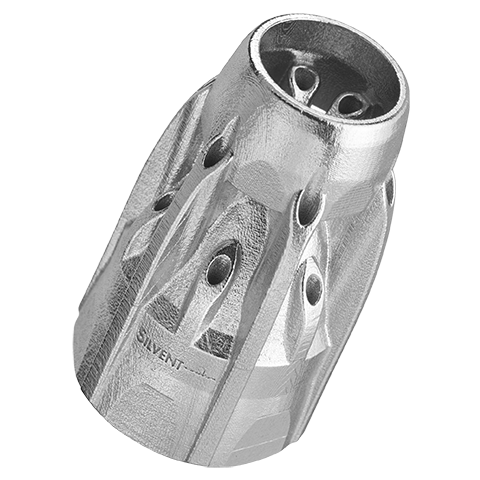 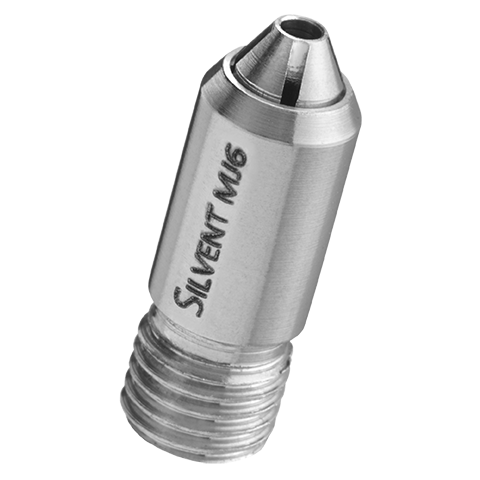 SILVENT 715 LA: an adjustable Laval nozzle. 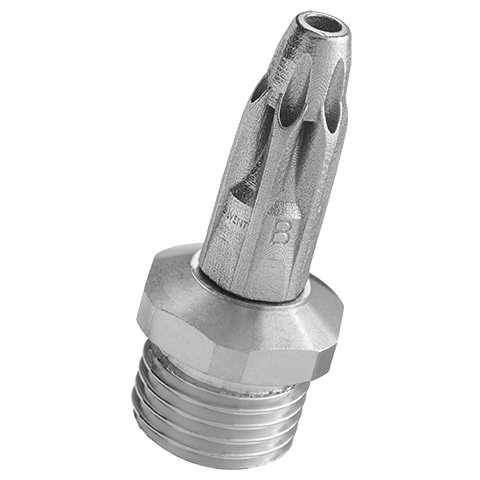 The nozzle position can be regulated 30° from the centre line, making it easy to fine tune the blowing angle. 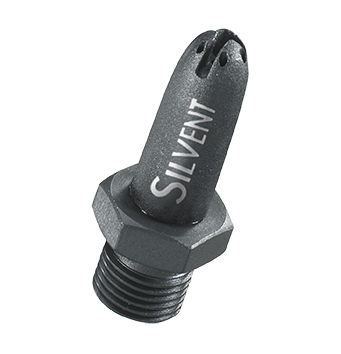 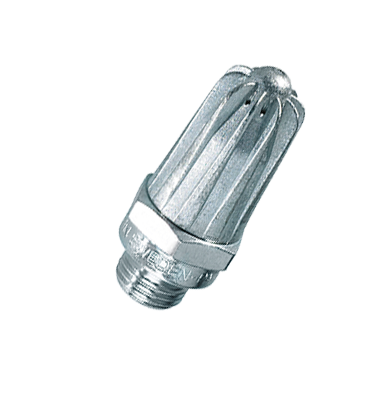 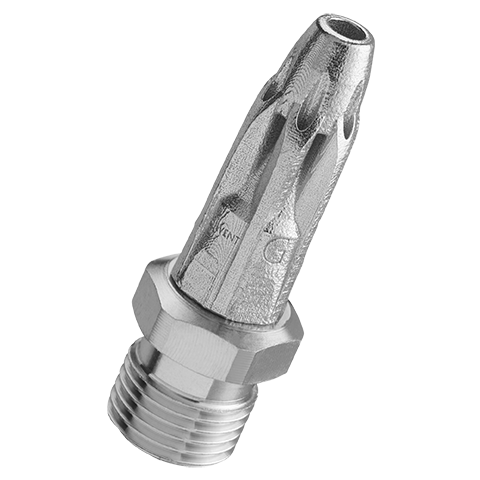 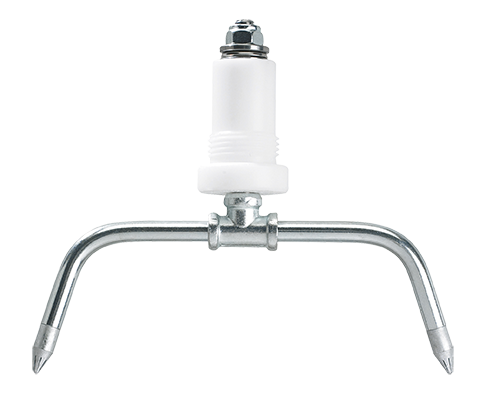 Compressed air is utilized optimally in this nozzle, and its introduction constitutes a new dimension in blowing technology. 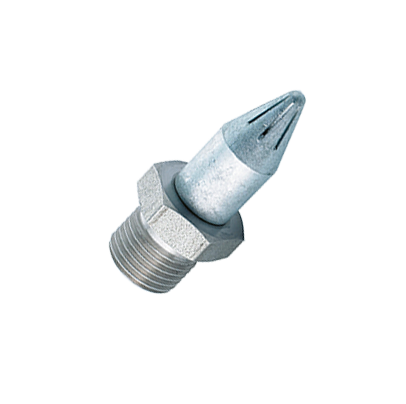 The effect is achieved by surrounding a core of air traveling at supersonic speed with a protective sheath of air moving parallel to the central air jet. 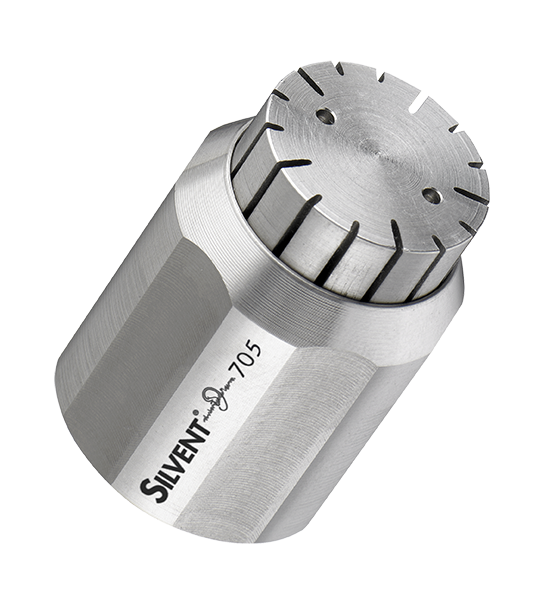 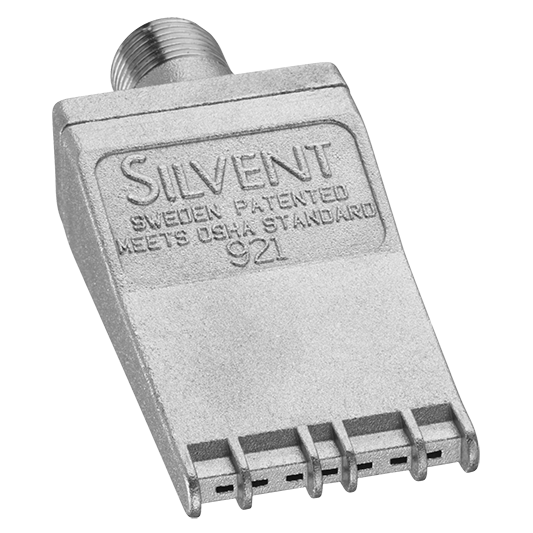 The central stream of air in the SILVENT 715 LA is generated by a Laval nozzle. 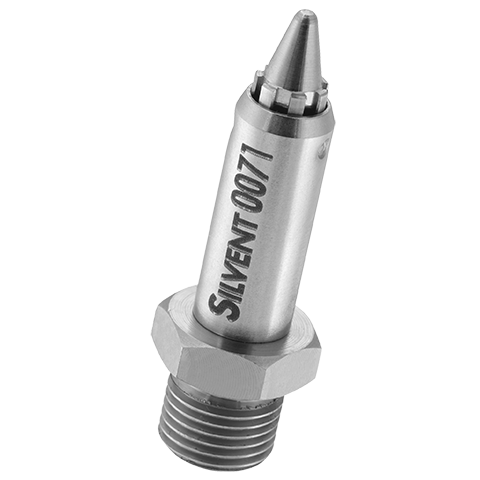 The design of the nozzle converts all of the energy stored in the compressed air into kinetic energy without permitting the air jet to expand laterally after it has passed through the nozzle. 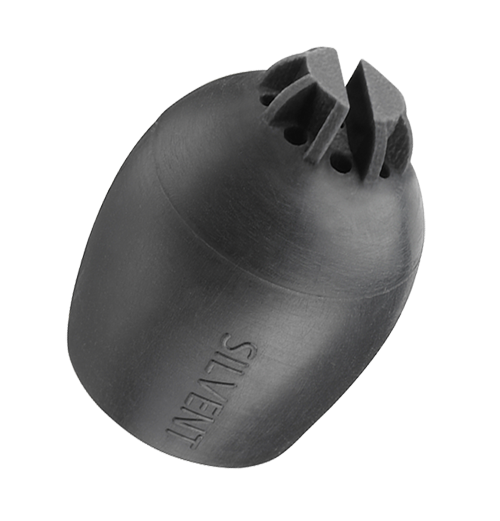 The protective sheath of air prevents the core stream from being slowed down by the surrounding air and allows it to be utilized at full effect. 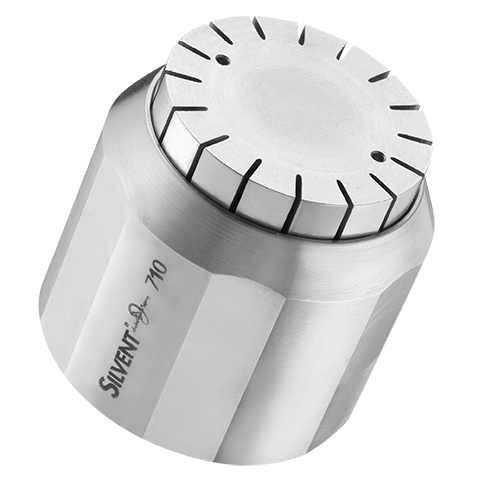 Turbulence is minimized, thereby lowering the sound level. 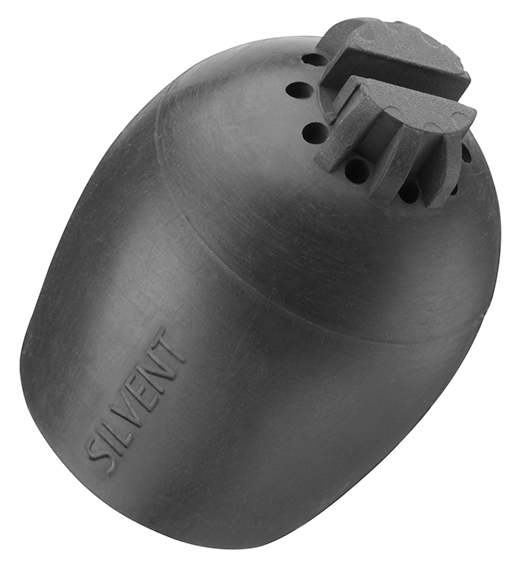 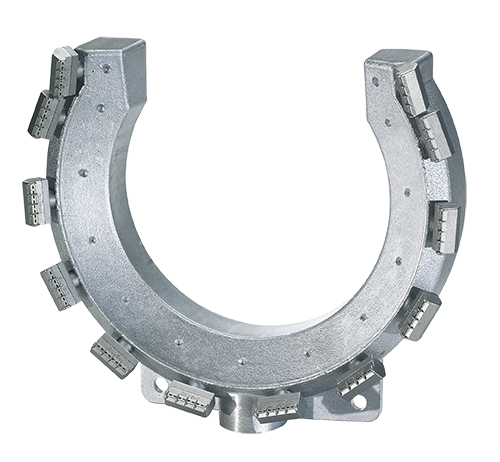 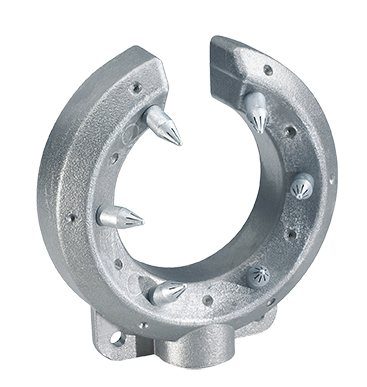 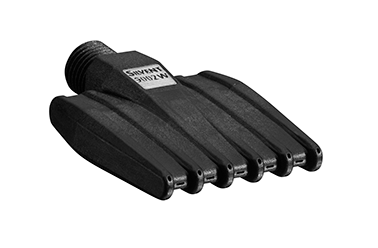 Fully complies with EU Machine Directive noise limitations and OSHA safety regulations.